The secret danger of everyday things. Pollution is no longer just about belching smokestacks and ugly sewer pipes – now, it’s personal. Studies have shown that significant levels of toxic substances can leach out of commonplace items in our homes and workplaces. How do these toxins make their way inside us and what impact do they have on our health? And more importantly, what can we do about them? 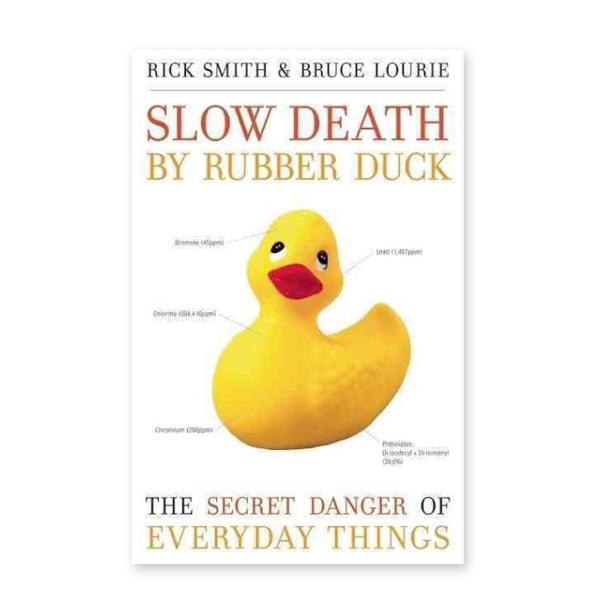 Rick Smith and Bruce Lourie tackle these questions head on by experimenting upon themselves. Over a four day period our intrepid (and perhaps foolhardy) authors ingest and inhale a host of things that surround us all every day, all of which are suspected of being toxic and posing long term health risks to humans. By revealing the pollution load in their bodies before and after the experiment- and the results in most cases are downright frightening- they tell the inside story of seven common substances.